As any wine connoisseur can attest, wine-making is a sensitive process derived from a complex relationship between climate, soil, and fermentation. But as the world begins to feel the warming effects associated with climate change, many researchers are beginning to look at how global warming will impact wine production around the world. When it comes to wine production, temperature and precipitation play a key role in determining the type of grapes produced in a region. In fact, local climate and characteristics play such a determining role that wine-culture has evolved to associate certain wines with certain regions – often referred to as terroir. For instance, an authentic French Sauvignon Blanc should come from Bordeaux while an authentic Pinot Noir should come from Burgundy. But as global warming takes hold around the world, it alters local temperatures and influences the type of grapes that are produced in a region. Already, winemakers in Spain are feeling the effects of climate change. Future temperatures could rise between 2 – 5 degrees Celsius. In response, Torres has decided to move his vineyards from sea level to the central valley to avoid higher temperatures in the future. For Europe, these moves could have huge impacts on wine-culture, which has developed over the course of a 1000 year tradition. Newer wine makers from Oregon or California may not have such a hard time adjusting, although warming temperatures could still have consequences on exactly where they grow their crops. A look at the bigger picture reveals that climate change will have a big impact on climate-sensitive commodities around the world. Already Starbucks is raising the alarm bells about the impacts climate change will have on coffee crops. And now beer producers are having an increasingly difficult time acquiring the specialized agricultural products they need to produce high quality beer. Are you concerned about the impacts climate change will have on commodities? 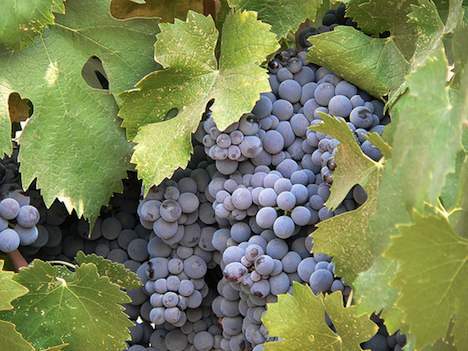 Do you think that wine producers will be able to adjust to warming global temperatures?